This is a corner house, so the front yard is large. The owners are transforming it, one section at a time, doing all the designing, digging and planting themselves. 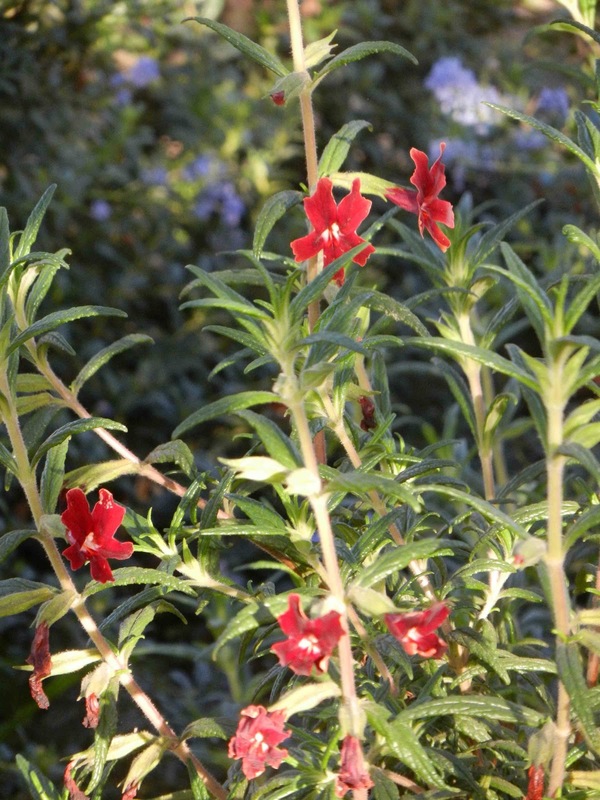 They are using primarily California native plants from nurseries at Theodore Payne Foundation and the Santa Barbara Botanical Gardens. The project began in 2009 with the parkway strip on Kingsland Street. 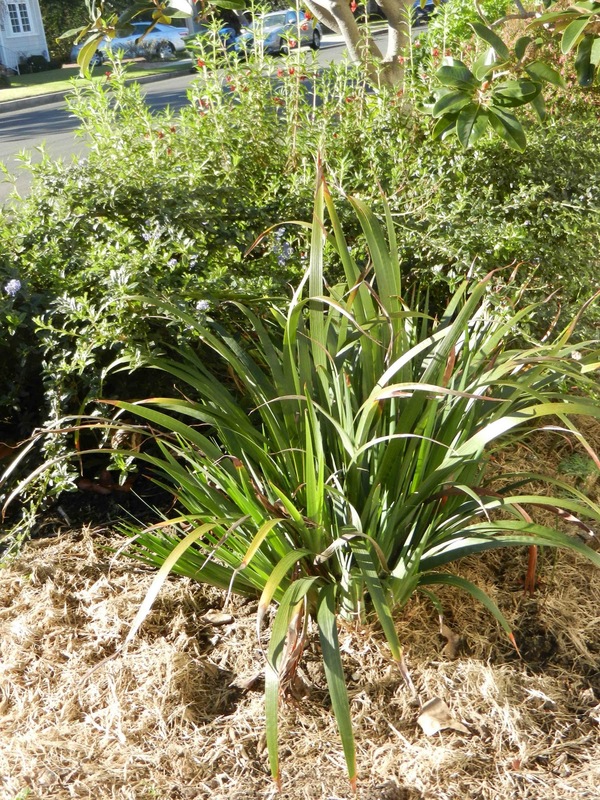 The owners removed the grass and planted a variety of low-growing California native shrubs as well as California poppy seeds. This was their test area. It is a beautiful success, and a lesson in what can be done on a parkway. 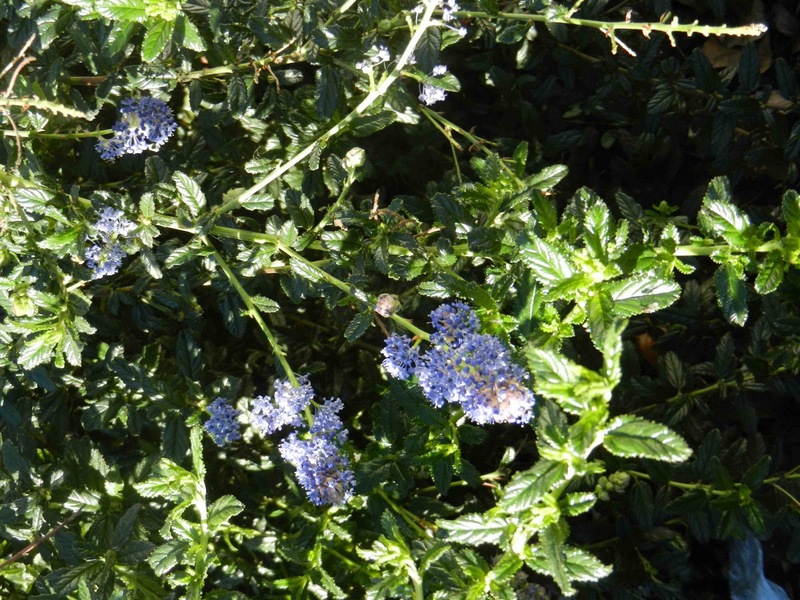 Several of the low-growing manzanita shrubs grew more robustly than predicted and are happily blooming. Ashyleaf buckwheat reseeds itself and blooms in a range of beige to rosy pink flowerettes on long stems. Monkeyflower and blue penstemon add color in the spring and summer. The plant mix includes a few milkweeds and the owners now enjoying seeing Monarch butterflies throughout much of the year. The owners are now redoing the Kingsland side garden, working on hardscaping with stepping stones and planting more California natives. Their goal is to have a beautiful flowering California native garden on the south side of the property requiring little water, low maintenance and no chemical herbicides. They’ve installed a composter, purchased inexpensively at a City of Los Angeles Bureau of Sanitation composting workshop. 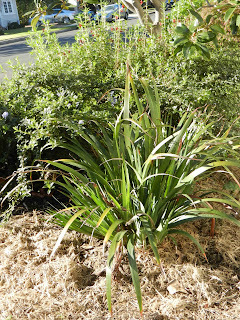 And they have some home-grown mulch from a tree that had to be removed. Once the south side is done, the owners will begin work on the larger garden area on Corinth Avenue. Lots of digging ahead! Come and see how far they’ve gotten.